Box of chocolate is like a box of happiness when it opens always spread cheers & happiness everywhere. This is a perfect box filled with the white & dark chocolate truffles that will sure to delight your beloved with its taste as well as outlooks. The three magical words “I Love You” can help you in the expression of love and sure to fill your day with the romantic moments. So, go ahead! 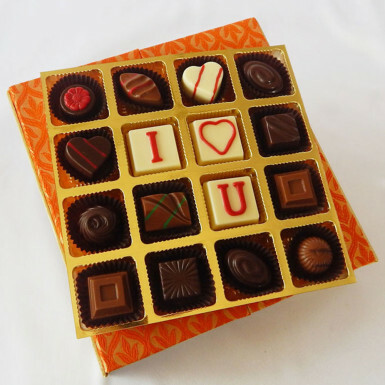 Buy this romantic elegant chocolate box online from Winni right now.